After making a meatloaf combining ground beef and cottage cheese, I decided that I wanted to make meatballs from the same recipe. The recipe came from a reader of our blog and was in a comment. She/he didn’t post a name with it which is too bad as it is very, very, good. The meatballs are even better than the meatloaf is. I made mine small size, about a tablespoon rounded up. I did use a tablespoon scoop to make them with. If you make them larger keep in mind they will need to bake longer than the time given in the recipe. I am suggesting some seasonings at the bottom of the recipe, feel free to use as many or all of them or use the seasonings from a recipe you already use and like. The cottage cheese keeps the meatballs moist and the small size makes them easy to handle. Don’t over mix as that will make them tough. I did drain the cottage cheese but not too dry as I wanted the balls to stay moist. Thanks again to our reader and hopefully they will see this and know we all liked them. Mix well with whatever seasonings you are using, if adding onion or celery, dice and sauté for a few minutes so they soften in the short time the meatballs bake. Drain the cottage cheese leaving it still creamy, just not as much liquid, add to meat mixture along with the eggs. 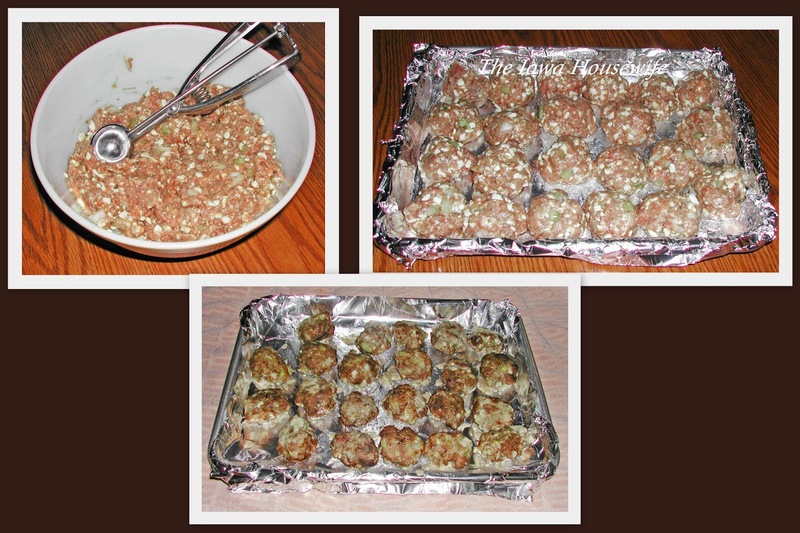 Make into 1 tablespoon size balls and place in a pan with sides, lined with greased aluminum foil. Bake at 350° for 16 minutes turning over and draining some of the extra liquid in the pan half way though. If freezing let cool on pan and freeze in a single layer. Once frozen they can be placed in a freezer bag or freezer container. I love cottage cheese so I know these would be good! Thanks. I am the person who submitted the cottage cheese meatloaf recipe - I am extremely electronically challenged and after several tries finally got the recipe posted. I have been trying to post again but haven’t been able to get this second comment to go through. So glad you like the recipe. My cousin is celiac and I see her struggle with her diet. I was determined to get the recipe to you! Well, Lana, thanks for your delicious recipe contribution! It's great to have a good recipe that the celiacs in our family and followers can enjoy that they had thought they would have to give up.